Tampa Bay is apparently afraid of Hawks fans overwhelming their stadium, like they've done in other cities. CHICAGO (WLS) -- A lot of Chicago fans may want to go to Tampa Bay to watch the Blackhawks play for the Stanley Cup, but the Lightning announced restrictions Monday to try to prevent Chicago fans from getting tickets. The team is limiting online ticket sales to Florida residents only and posted this advisory for those with elite seats: "Only Tampa Bay Lightning team apparel (or neutral) will be permitted in these club and adjoining seating areas. Fans wearing visiting team apparel will be asked to remove them while in these areas." Tampa is not the first team to try this stunt. Nashville and St. Louis have limited sales too. Not only do the Hawks have a huge fan base, but in some cases, it can cheaper to see a game on the road. In Chicago, as excitement grows leading up to Wednesday's Game 1 of the Stanley Cup Final, so do sales at the Blackhawks Michigan Avenue store. "I think we're going to win in five," said Blackhawks fan Maggie Judici. "I don't know if we're going to have a clean sweep but we're going to win it." Ticket sales are through the roof. Up to three games might be played in Chicago and prices for standing room tickets are now over $600. "I think prices will settle down," said Dan Makris, Classic Tickets. "Originally there was a bit flurry with everyone excited." The Blackhawks have a lot of fans these days, but that was not always the case in Chicago. 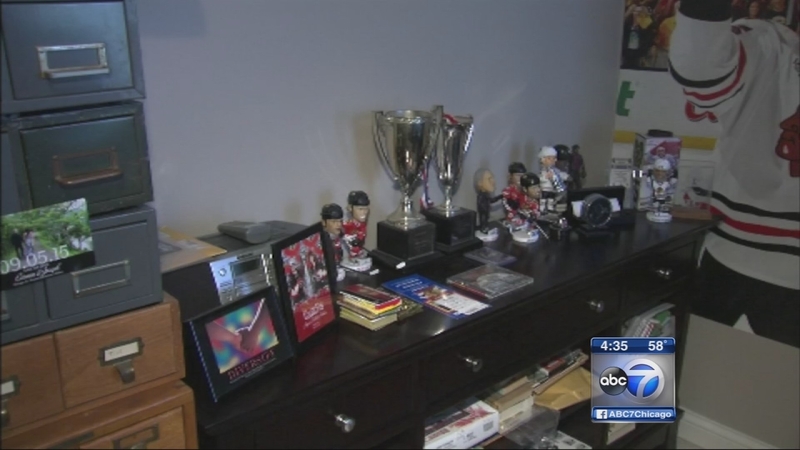 Diehard hockey fan Nat Bilsky has collected thousands of cards and other memorabilia throughout the decades. Among his collection is the front page of the Chicago Sun-Times from when the Blackhawks won the Stanley Cup in 1961. A year later, at age 22, Bilsky bought his first season tickets. The entire season cost him just $96.50. "I had a great seat," he recalled. "I had a first row, first balcony seat behind the goal. 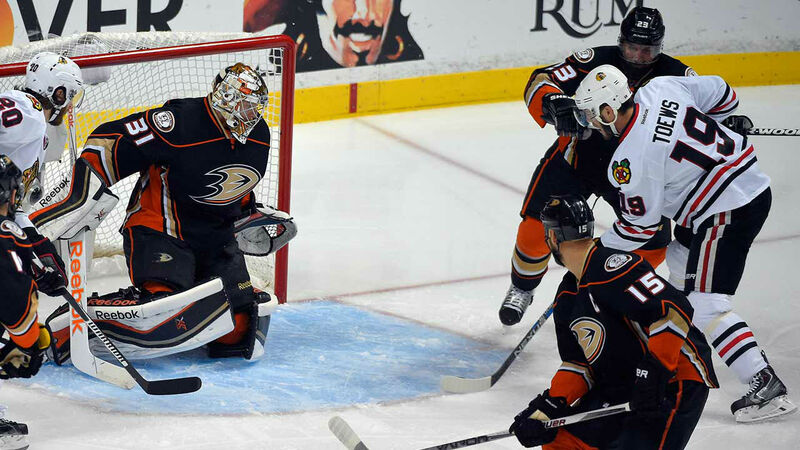 I think pure hockey fans like sitting behind the goal because you're looking straight down." But it wasn't always easy being a Blackhawks fan. Bilsky recalls going to games in a near-empty United Center. "You'd look around and there would be nobody next to you," he said. "You'd make friends with a guy about ten rows down the other way. There's one guy we laugh how everybody wants our seats and everybody is our friend." At one point Bilsky almost lost the faith. In 2004, when Bilsky was about to give up his season tickets, his son Jeff reached out to the Blackhawks and explained the situation. Then a phone call came from then-General Manager Dale Tallon. "I talked to him for about a half hour," Bilsky said. "He told me how the team was going to get better. He was going to do certain things. Nice guy." Today, hockey is a family affair encompassing three generations of Blackhawks fans, all of them negotiating who will get to go to each of the Final games. "It's going to be a tough series," Bilsky said. "I would like to see the Hawks win in four (games). I'll take five. I'll take six. I guess I'll even take seven, though none of us want to see that." Limited quantities of single-game tickets for the Stanley Cup Final home contests in Chicago will go on sale to the general public on Tuesday, June 2, at 12:00 p.m. The tickets will be available exclusively at ticketmaster.com or by calling Ticketmaster at (800) 745-3000. Each customer will be limited to four tickets.